How Far is Pushkars Tarisha? Pushkars Tarisha is a popular residential development in Anna Nagar, Chennai. This project, developed by Pushkar Properties, offers 3BHK apartments with modern amenities for the comfort of residents. It is close to the market and many educational institutions. Pushkar Properties a Chennai builder has been developing many landmarks in and around the suburbs of Chennai. The realty developer based in Chennai has used the demand for residential housing in Chennai over time. The projects of the builder are both unique and luxury minded, there are also projects offered with ultra-luxury amenities and floor plans. The outstanding projects of the builder around the locale are Pushkar PV Sree Raman Enclave developed with 3BHK Apartments for sale in Perambur, Chennai. 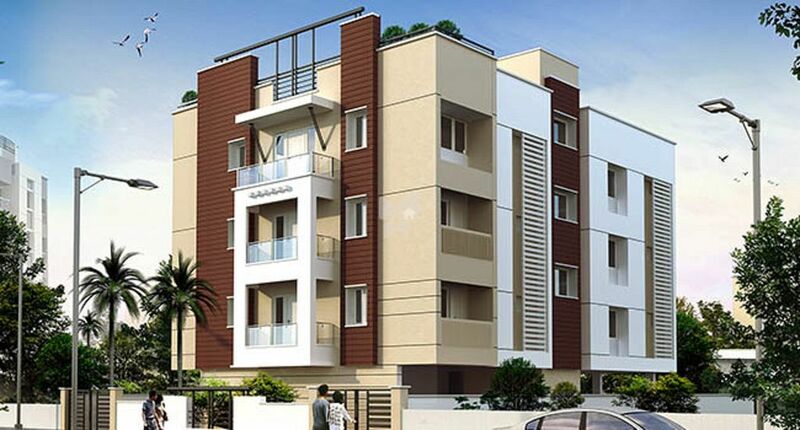 Pushkar Jayalakshmi Manicakam an under-construction project developed with 3BHK Apartments in T. Nagar, Chennai. All the project of the builder has been very successful because of the detailing in every project. Pushkar Properties Private Limited, incorporated in the year 2003, is a front runner in the Indian construction scene on both the residential and commercial front. We are a company that is solely driven by the lasting principles of commitment to customer satisfaction. Based on a strong second-to-none approach, we have established for ourselves, a solid reputation over the last couple of years for exceeding customer expectations on all fronts. Elegance of design and a strong commitment to quality forms the core principles behind our reputation in this industry. A continuous benchmarking process and a passion for constant innovation have helped us lead from the front on all facets of the industry. We live by our pledge to have your home designed by experts in the field which leaves no room for compromise. We ensure that we don't leave any brick unturned to bring you the best returns for your investments. 1. Pushkar Properties is committed in providing quality homes coupled with exceptional life style and outstanding value to its customers. 3. Computer Aided Design & Detailing. 4. Continuous flow of funds for an uninterrupted execution of the project. 5. Systematic and timely execution of projects by experienced personnel in the industry. 6. Allocation of separate machinery for each individual project. 7. Tie-ups with manufacturers for supply of quality raw materials with a price protection guarantee. 8. Our quality guarantee policy is backed by our own initiative to constant innovation and continuous product development coupled with the highest standards of design and customer service.